Veteran actor Robert De Niro criticised US President Donald Trump while honouring a group of award-winning high school students, reports Ians. 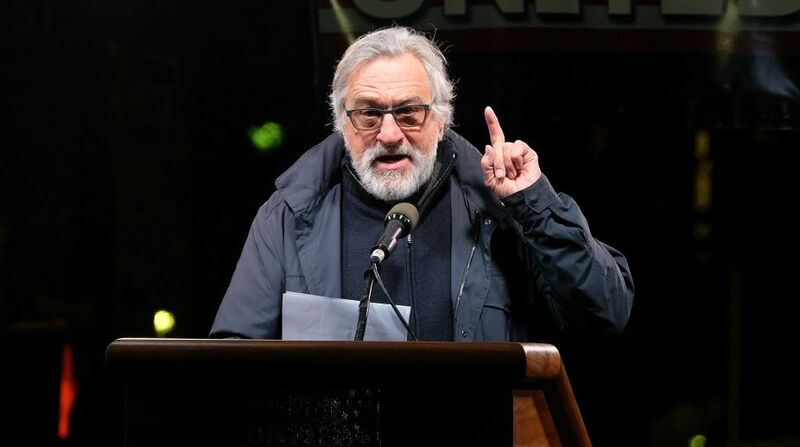 The Oscar-winner, who has repeatedly criticised the president in the past, slammed Trump while speaking at the ceremony for the Jimmy and Rosemary Breslin “American Writer Award” at the Tweed Courthouse in Lower Manhattan, reports people.com. “The one characteristic that comes through all of your work that I read, and that is the same quality of everything that Jimmy Breslin wrote, is the truth,” said De Niro. “Our country is led by a president who believes he can make up his own truth. And we have a word for that – bulls**t. So what about the truth? What does the truth even mean today? I mean, if you are Donald Trump it doesn’t mean anything,” he added. The ceremony was held in honour of high school seniors who submitted non-fiction stories centered around New York City.